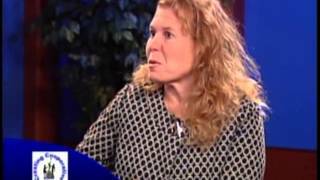 In this video clip, parenting expert and show host, Bill Corbett, interviews author Julie Rosenshein, author of the book PARENTING THE SENSITIVE CHILD. Creating Cooperative Kids is a one-hour cable television show that provide education and guidance to caregivers of children from 18 months to 18 years of age. Each episode features parenting experts and step-by-step instructions for parents on raising high self-esteem and cooperative kids. See the entire episode at http://www.TheParentingShow.tv. The show’s host, Bill Corbett, is the author of the award-winning parenting book series, LOVE, LIMITS, & LESSONS: A PARENT’S GUIDE TO RAISING COOPERATIVE KIDS (in English and in Spanish). He sits on the board of the Network Against Domestic Abuse, the Resource Advisory Committee for Attachment Parenting International, and the management team of the Springfield Parent Academy. Bill’s practical experience comes as a father of three grown children, a grandfather of two, and a stepdad to three. He resides with his wife Elizabeth and teenage step daughter Olivia. You can get FREE parenting advice from him at http://www.CooperativeKids.com.